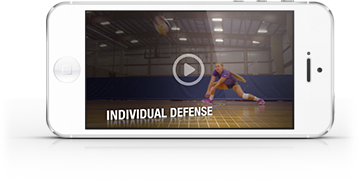 Quickness is a must-have skill in volleyball. In the “chase” drill, a coach lobs the ball to a hard-to-reach place on the court. Players must chase it down and play it back over the net. Along with developing fast feet, this chaotic drill teaches players to sight a target and adjust their platforms so the ball reaches its intended mark. Learn how it’s done in this video featuring two-time Olympian Cilene Drewnick.